Now that the top is cut to final dimension, I’ll set it aside and start work on the base. I’ve got some great crotch walnut for the main section of the leg. I like to keep things symmetrical and consistent for the whole table, but I also want to use the existing grain pattern where I can. 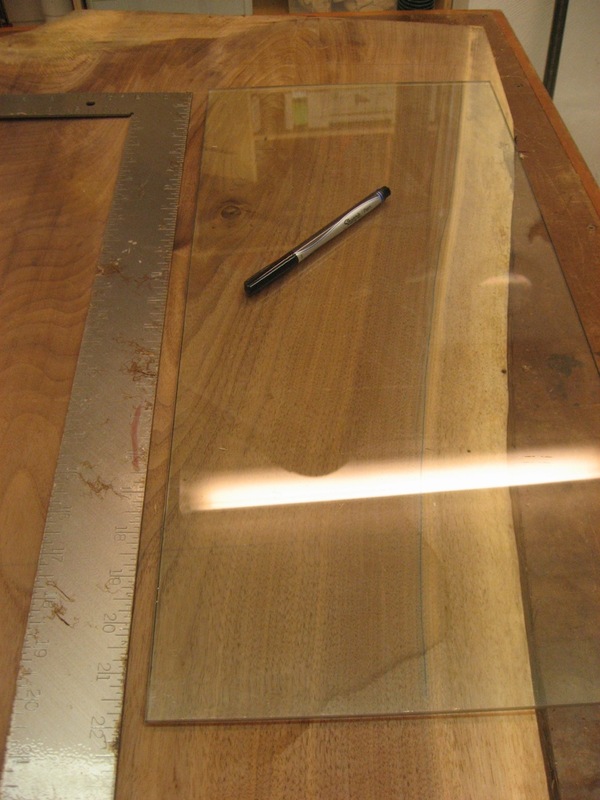 So, I use a piece of glass and trace the grain curve and check it against all 4 cuts (two outside per leg) and take a sort of average or check where it will fall. 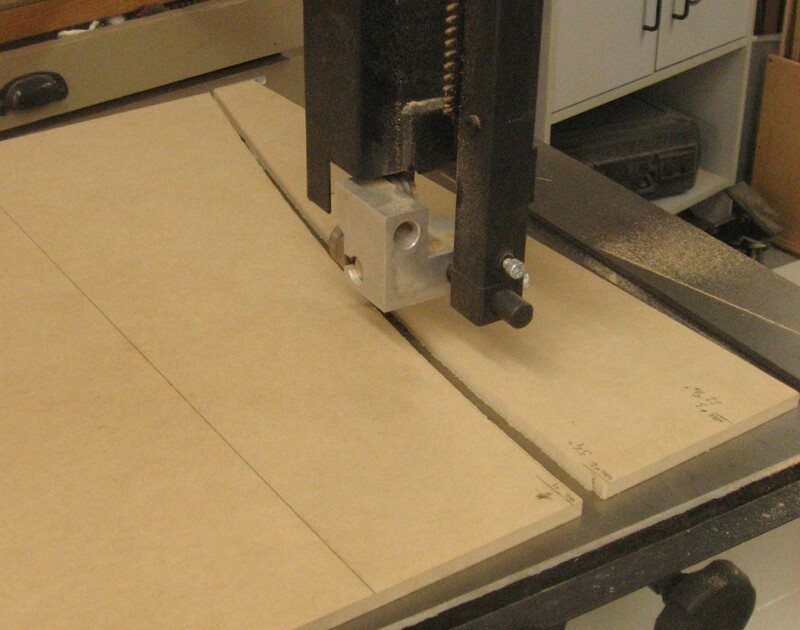 Once happy, I trace that onto a piece of 1/2″ or 1/4″ MDF to make a template. First, rough it out on the bandsaw, staying just outside of the line. 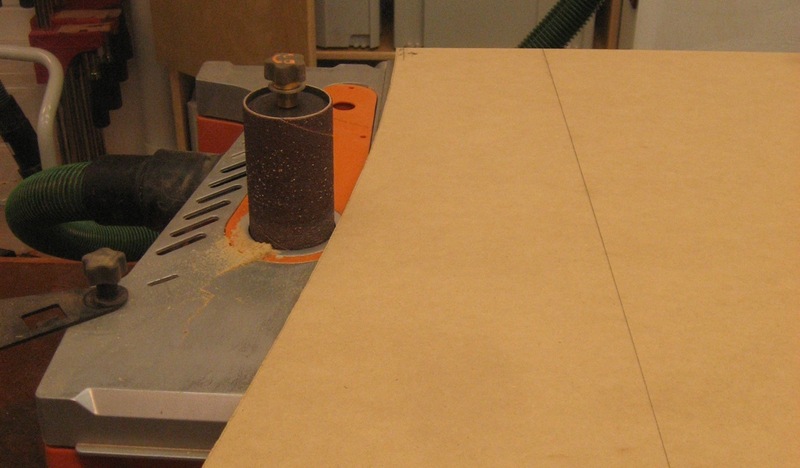 I use a spindle sander to cut right up to the line. The sander leaves “divets” all along the edge. I go back and clean those up with either some rasps first or skip straight to a flexible sanding pad. I’ll use this same template to make all 4 cuts. The top and bottom edge are kept square so I can use them for reference edges.